After the massive crowd and silly millinery of the Feaster Five, the Pentucket Pride 5K, at Pentucket Regional High School, in West Newbury, MA, was a laid-back affair, with 223 runners gathering on a foggy morning to support the high school’s athletic programs. 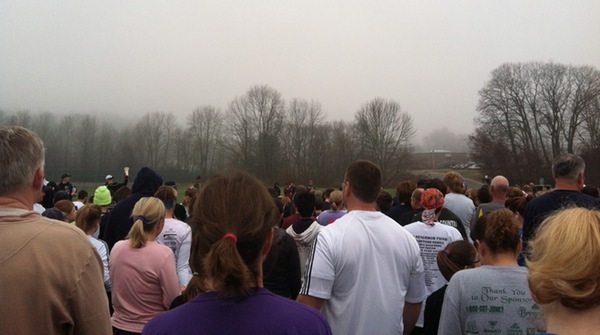 Runners at the foggy start of the Pentucket Pride 5K. The course had been described as “challenging,” which, as my avid readers (!) know, puts the fear into me. In road race language, “challenging” always means “hilly.” Just once I’d like there to be a water hazard or something. You know, to shake it up a bit. Sure, it may not seem so steep if you look at the numbers, but trust me, on a damp and chilly day, it was basically Everest. 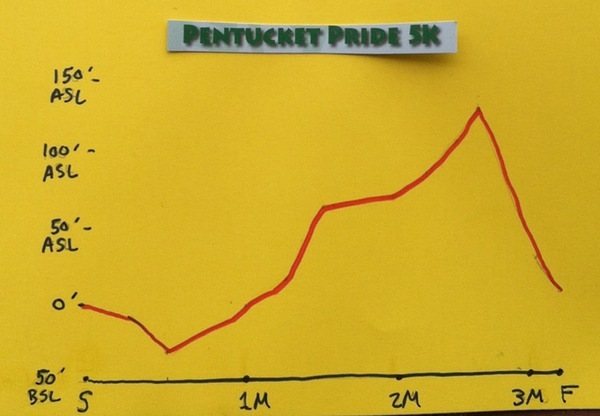 Needless to say, the Pentucket Pride wasn’t one of my greatest runs (have I had one that falls into that category? ), and I felt as gray as the sky almost the entire time. The asthma kicked in almost immediately and was unrelenting. It was a pretty course though, which helped take my mind off the knives in my lungs. Perhaps all the other runners were fueled by leftover turkey, but they were fast. Really fast. I spent the majority of the run right at the back, among a pack of pre-teens who shot me annoying looks every time I overtook them (they got me at the finish line). I walked more than I ran, which is why it is odd that my time compares so favorably to all my others. • my walking pace is about the same as my running one, which is both laughable and frankly disturbing. Time to test the theory, methinks. This entry was posted in Fitness, Humor, Running and tagged 5K, asthma, Massachusetts, road race, running uphill. Bookmark the permalink. And not just any soup, but chicken noodle! 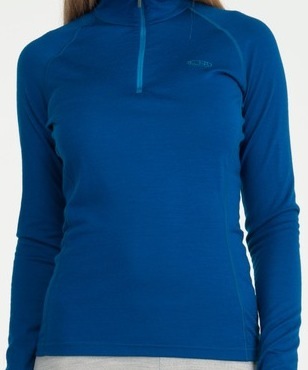 Is it time to right a book “Chicken soup for the runners sole…”? Ha! Great idea. Although, not surprisingly, it already exists. Perhaps I could add an appendix?